Must have the ability to perform the essential job duties with or without reasonable accommodation and without posting a direct threat to safety or health of employee or others. Prepares parts for blasting by performing inspection for oil, grease or other contaminants. Operates sandblasting equipment to apply various abrasives to clean, remove corrosion or other contaminants on materials. May operate blasting equipment in booth or walk-in cabinet. 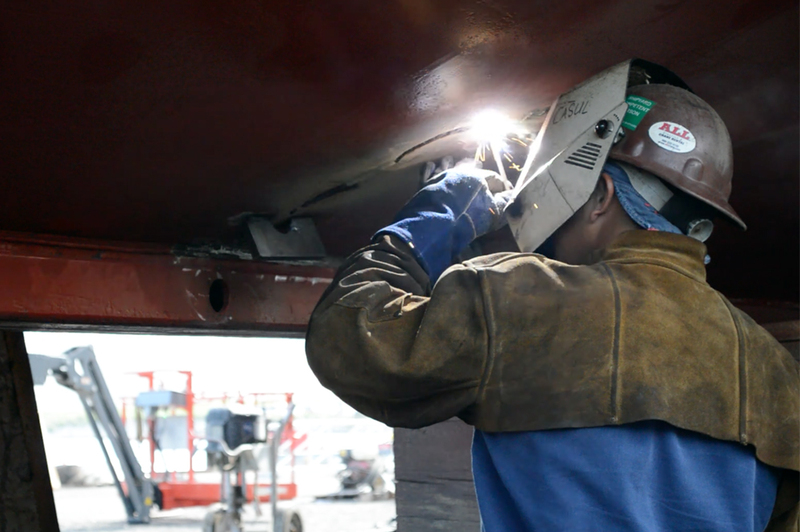 Blasts coatings off ship hull and tanks to prepare steel surfaces for painting. Performs surface prop on tanks, shipboard piping systems, interior and exterior surface areas utilizing grinders and sandblasters. Preps, taps, brushes, rolls and sprays using either conventional or airless sprayers. Maintains sandblasting and other painting equipment: hoses, pumps, pressure tanks, spray guns and tips. Must have a through working knowledge of marine coating application and surface preparation for various surfaces; various types of spray painting machines and equipment used in coating application. Wear Personal Protective Equipment (PPE) appropriate to current or daily job duties. Be fit for a respirator. Carry up to 50 pounds. Constantly climb stairs and ladders on daily basis. Bend, twist, kneel, and reach constantly. Endure noise, fumes, dust and inclement weather. Work overtime and weekends as needed to meet production demands. The first ninety (90) days of employment will be an introductory period including on the job training. Successful completion of the introductory period is required for continued employment. We offer an excellent benefits package that includes healthcare, dental, vision, short-term and long-term insurance, 401(k) profit sharing plan, vacation time, sick time and company paid holidays.